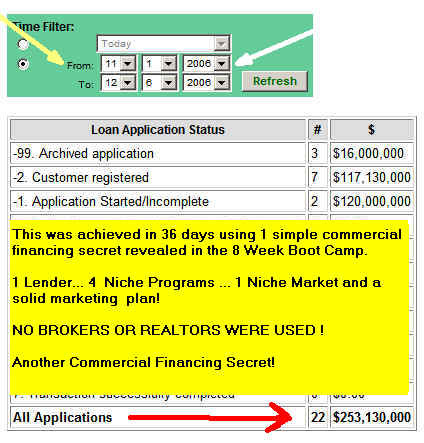 The Commercial Financing $500 Million Dollar 60 Day Challenge RESULTS! Using 15 Year Old System That WORKS! This wasn't much of a Challenge! I Booked $487 Million Dollars In Commercial Loans In Exactly 30 Days And Walks Away The Winner Again... I quit counting after 30 Days And The Deals keep coming! 8 Week Training Program Delivers BIG! I've been using this program for over 15 years and it works today better and faster than ever. Once this program is implemented, transactions like these just keep coming. 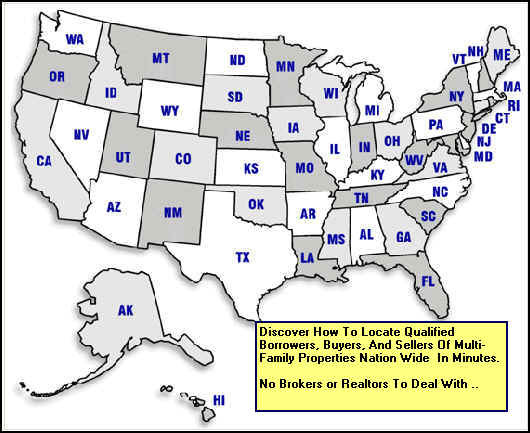 You can earn enough in a few transactions to begin living your dreams. This is a part time business that I operate every 3 years! This is what you can achieve using my 8 Week Online Training program. 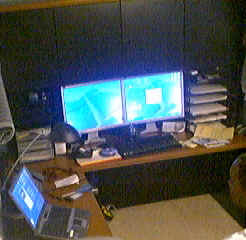 Now you see why I only do this every 3 years from this small home office. In putting these transactions together, I used only a fax machine, telephone an email account and my 8 Week Plan. No Web Sites were used. No Loan Applications were taken. No Number crunching was required. My average turn time on these transactions were 24 hours. From This Small Home Office.. Program For Fast Results And Big Fees!